There are a lot of things to do in Denver. There’s a vibrant night-life that you can enjoy as a swinging single and still plenty to do if you have our kids with you. 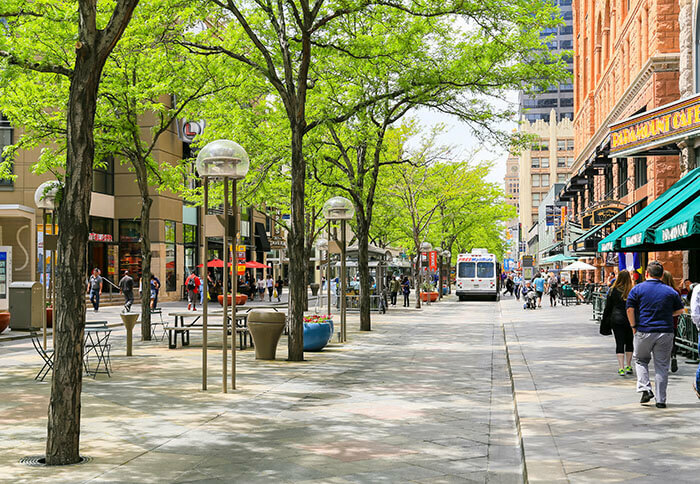 In this post, we will go through the top family activities in downtown Denver. While perusing downtown you should download the Truckster app to see if there are any food trucks nearby. You don’t want to miss out on some of the best food trucks in the country! There are exhibits here that will delight kids that are young and kids that are a little older. As older kids ourselves, we love getting loose here and checking out the rock-climbing, the physics playground and learning to build a rocket. This is unique because it is a privately run bookseller and listed amongst the best in America. Spend some time unwinding while the kiddies look for something to read, or take the opportunity to relax and have some coffee before tackling the next item on your “To-Do” list. This is where the Colorado Rockies have had there home for more than two decades. We’re not talking about the actual Rocky Mountains, naturally, but Denver’s own Major League team. If you are a fan of baseball and want an extra cool experience, book one of the purple seats on the top deck. Sitting there means you can tell your friends that you were precisely one mile above sea level. Kids will love this fun fact and also the Rockies mascot, Dinger. If you just want somewhere for your kids to work off some energy, this playground is ideal. There is lots of space and many different play items. Younger kids can play in the sand box or clamber up the net. Older kids can figure out how to activate the water feature. This has to be one of the prettiest spots in the city. It is at the junction of Cherry Creek and South Platter River. It is a river park with a few larges expenses of green grass, perfect for a picnic. On a warm, summer’s day, dip your toes into the river and consider kayaking. The Platte Valley Trolley offers a new way to experience the scenery and is a lot of fun. If you are into rock-climbing, you will find REI and their climbing pinnacle. It is 47-foot high and a work of art in itself. This is a favorite place for bikers, bladers, and boarders. With surfaces catering to beginners through to very advanced, everyone should have fun and challenge themselves here. This center is all about the interactive learning experience. Your kids will get to feel as though they are flying, see what conditions down a mine were like and find out more about what family life on a farm in the 1920’s was like. We have only touched on some of the potential excursions you and your family could enjoy. This is a town that you could explore for months and still not have seen everything. What’s the best advice we have? Come visit and see for yourself. Is the Food Truck Industry Growing? What is Denver Known For?